The gift of Jesus in Bread & Wine - All are welcome! All baptized children are welcome to come and receive forgiveness in the bread and wine - it is The Lord’s Table - and all are welcome. Why do we encourage children to share in Holy Communion? The mystery of bread and wine becoming the body and blood of Christ defies all human understanding. It is a mystery that we are invited to believe with child-like faith. Children are an essential part of this family of faith and are equal partakers in God’s free gift of grace. The ELCA’s theological document, The Use of the Means of Grace, permits children to commune and invites/encourages congregations to determine the age of welcome. These learning experiences are not prerequisites for a child to receive communion, but they are offered as age appropriate learning opportunities for children and their parents. The 3-week Stepping Stone is NOT a “first” communion class, rather, teaching children and parents about communion. 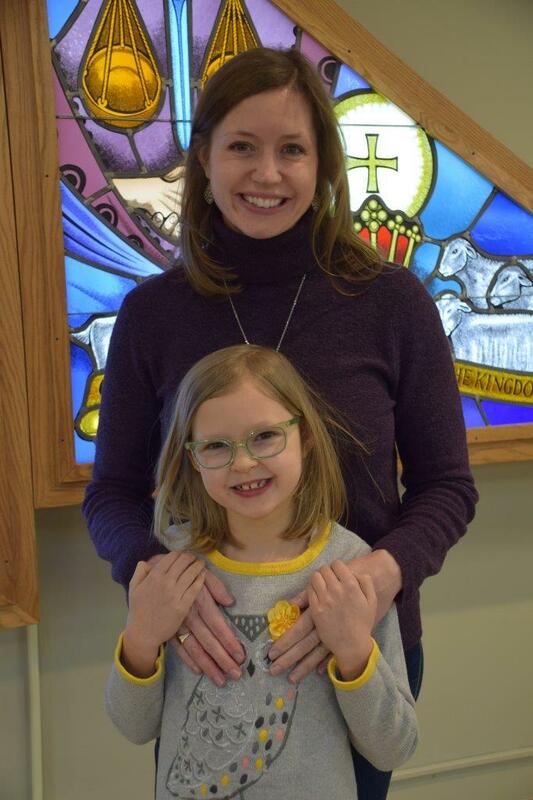 The 3-week Stepping Stone is NOT a “first” communion class, rather, teaching children and parents about communion at a 5th grade level with several interactive and experiential learning activities. Passover (it was during Passover that Jesus began - “instituted” - Communion). Some things in parenthood are just about survival. When you have a young child with you in a church service, you may be satisfied just to “get through” the service with enough snacks, coloring activities, and no major tantrums. We still feel this way some days, and our girls are seven and four! But somewhere along the way, as kids learn and grow, they are able to start actively participating in different aspects of worship. They are watching and paying attention, even when you might not realize it or it might not appear that way! That’s what happened in our family last year, when Megan started asking more questions about communion. We talked about what it meant, and she was happy to start participating in this sacrament during services. This month we had the opportunity to attend the “Introducing Communion” first grade stepping stone classes with Megan. It was a blessing to take a step back and delve more into the meaning behind this ritual with her. Remembering who Jesus is, who we are as sinners in need of forgiveness, and what Jesus has done for us are some weighty topics that can be challenging to fully wrap our heads around as adults; I’m glad for the class with our Immanuel community that helped us explore these topics in a child-friendly way. The kids got to listen to Bible stories and act them out, watch videos that appealed to Megan’s silly sense of humor, and eat bread and drink juice/wine that would be similar to Jesus’ Last Supper with the disciples. Jesus said in Luke 18:16, “Let the little children come to me, and do not hinder them, for the kingdom of God belongs to such as these.” I am so grateful for our church leaders and friends who support us in raising our kids in faith! One of the first talking points we had when we sat down in the first session of the Introduction to Communion class was to discuss where we (the parents) had received first communion. As soon as we started the discussion, one of the girls at our table piped up with, “What’s communion?”. We laughed and assured her that she was in the right place. While raising young kids, it seems we are often surprised with questions about something we take for granted that we know. 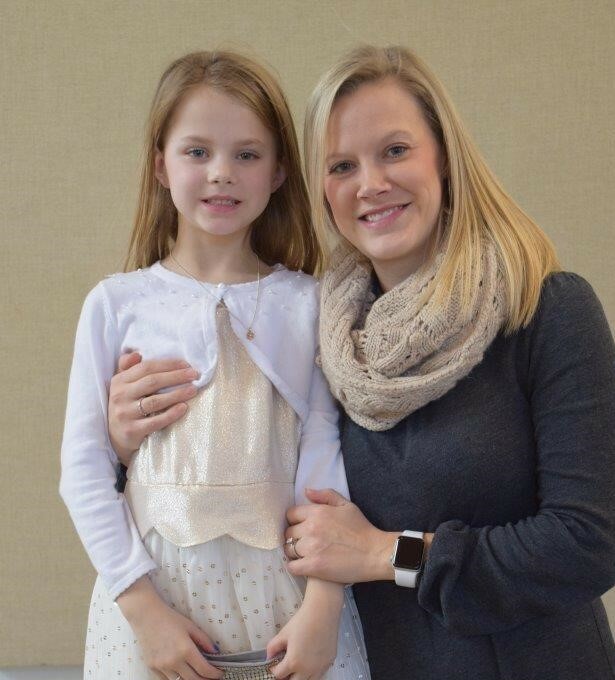 Although they have likely seen communion for several years and maybe even participated themselves, it seemed that most of the eager-to-learn first graders were not quite sure exactly what it was. When you take a moment to ponder it, I think many of us adults might have trouble putting it into words. Over three sessions, Martin did a great job of engaging the kids to help them understand this special meal- how it started, what it symbolized and who can receive it. As my daughter had not received communion before, she was very excited to try the actual wafer, juice and wine. She even took the little communion cups home to use as water cups for her Anna and Elsa dolls. She proudly told her little brothers that she was going to participate in communion now – just like her older cousins. We were proud that she viewed this as an important rite of passage and something to look forward to. Each year kids grow and learn so much – but it seems the jump from Kindergarten to First Grade has been especially significant. The kids observe and absorb everything around them, so we are striving to expose them to positive influences and set good habits now. To name a few- healthy eating, exercise, being kind, trying your best, loving your family and friends and being strong in your beliefs and your faith. What a great fit these sessions were to share the message that we are all forgiven in Holy Communion! How lucky we all are to be able to remember that and celebrate it together at Immanuel.